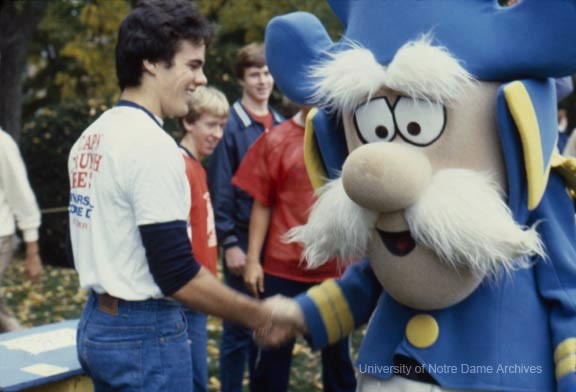 The University publishes its annual catalogs and bulletins to inform prospective students and their families of life at Notre Dame. They often list the faculty, the students, and the academic calendar, and outline activities of the University, such as the available courses, student organizations, and regulations of the University, now known as du Lac. 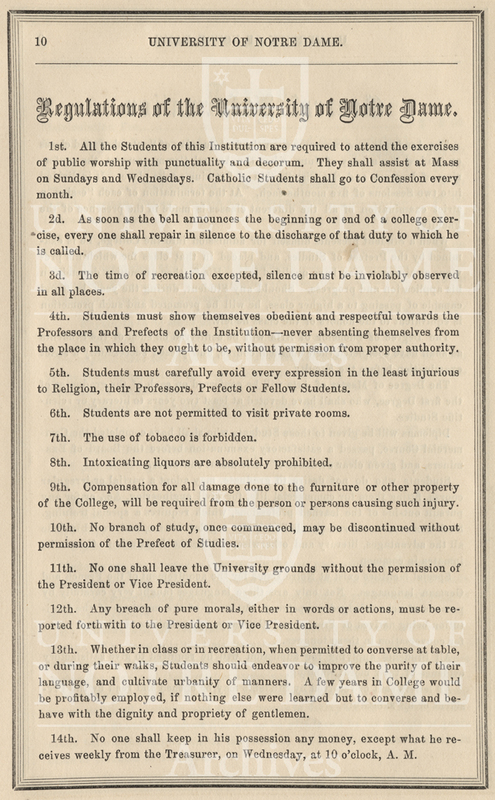 The 1863-1864 catalog was the University’s twentieth such catalog. Fr. 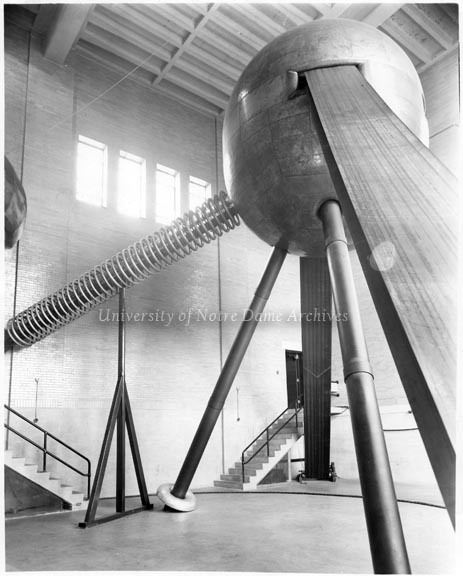 Edward Sorin was president and the Golden Dome didn’t exist. The Thespian Society had fifteen members and the Notre Dame Cricket Club had twenty-two members. Room, board, and tuition was $200. Each student was expected to arrive with six shirts, four towels, one hat, three pairs of shoes, and one setting of silverware, among a few other personal effects. The Christmas holiday was only three days long. 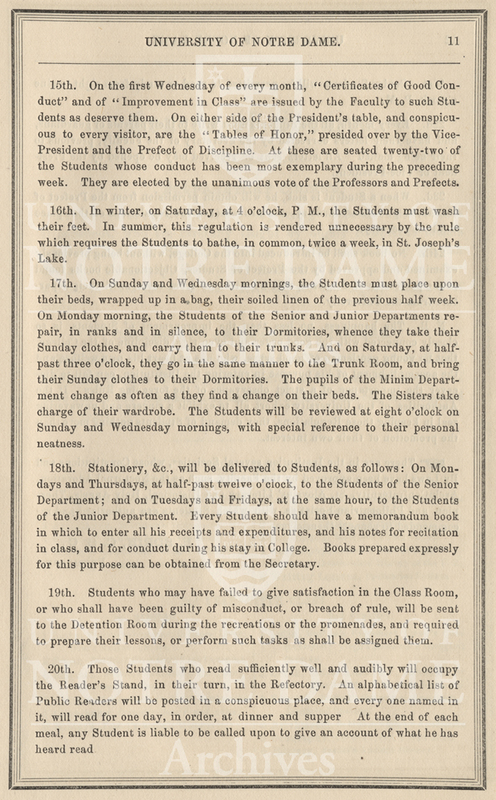 Below are the three pages of regulations from the 1863-1864 catalog, which give insight into daily student life at Notre Dame. Fortunately, students are no longer required to bathe in St. Joseph’s Lake. 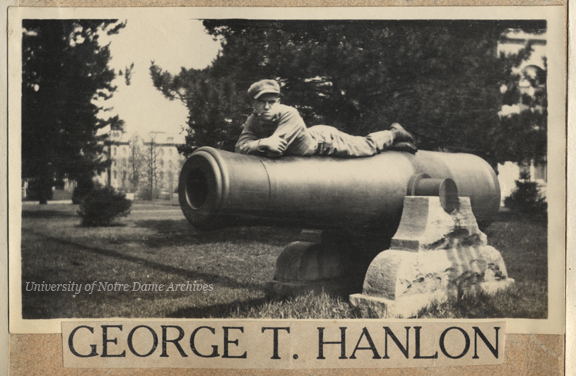 The University of Notre Dame Archives is responsible for the collection, maintenance, and preservation of the official records of the University of Notre Dame as well as other records that document the life of the Catholic Church and her people as lived in the American context. 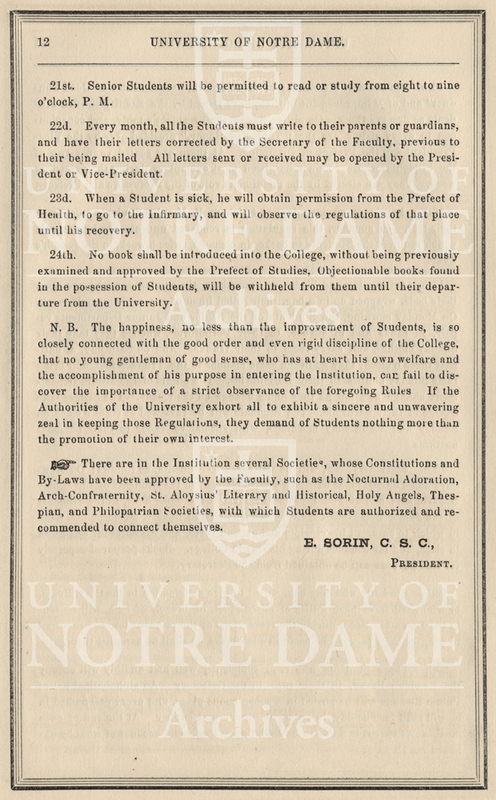 Notre Dame Archives News & Notes © 2019. All Rights Reserved.